Organizational performance improvements are key to business success. Driving growth and innovation in today’s business environment really requires that you focus on your company and workforce capabilities. The ability to drive productivity, manage costs and gain a competitive edge from your workforce is growing substantially in importance and focus. 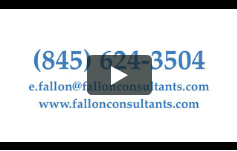 Fallon Consultants help businesses by improving organizational performance. Effective organizational performance management requires a consistent and integrated approach to help achieve cost savings, retention, efficiency, quality, innovation and customer satisfaction. In these times of extended economic uncertainty, even more focus on specific areas of effective management become important in order to position your company for future success. One must differentiate low and high work performers, use social networking to create and leverage the organization’s knowledge of your global workforce, promote the development of the business’s knowledge, adapt to flexible work environments, and enable leadership to guide individuals through the ever evolving change. Please let us know what process improvement topics you are interested in.